I'm stunned! 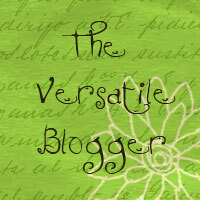 I have just received my first blogger award, and my heart is bursting. Thanks to Bec over at Gaining My Writing Wings. . . I have received a big lift. I am still tending my father who suffered a stroke two weeks ago. I am moving him from California to live with me. My writing is on the bottom of my list for another few weeks, but this award is exactly what the doctor ordered. Thanks, Bec. 1) Thank and link back to the person who gave you this award. 4) Contact the bloggers you've picked and let them know about the award. I'm a graphic designer by day, so I write at night and on weekends. I belong to the American Night Writers Association (ANWA) based in Arizona. I love to write both fiction and non-fiction, though writing fiction brings me the greatest joy. I once had a novel contract, but lost it because the company made a financial blunder and had to release all their contracts. I have many published newspaper articles and a featured story in another author's book. Several years ago, I won the American Mother's creative writing contest. If I were stranded on a desert island, I'd draw letters in the sand just to keep writing. I just love this blogging stuff. I can't wait to get back home and continue with my favorite pastime...writing, of course.